QR codes are already being used in mainstream marketing campaigns in Japan, and customized colorful branded QR codes can be seen in many Japanese TV commercials. QR codes are also becoming more popular in the United States. To take advantage of the Internet’s popularity, modern marketers are constantly searching for effective ways to integrate online and offline marketing strategies. 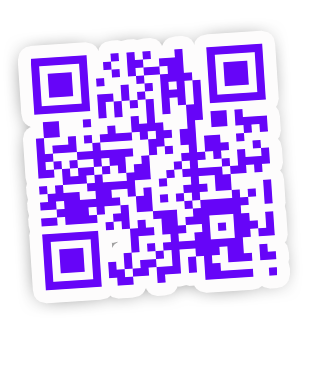 QR codes provide an inexpensive solution for sending and receiving information. There are many other features of QR codes which can be explored by companies to reach customers because QR codes can be used in printed marketing channels to allow easy interaction with customers. You can imagine people taking the images of QR codes at bus stands, TV commercials, pubs, magazines, billboards, business cards, posters, brochures, and newspapers to access the information by using a smartphone with preinstalled QR code reader app. Customized QR codes are 2-dimensional codes similar to barcodes which you can see on products. The major difference is that QR codes are more convenient, more versatile, and easier to deploy and use. Also, it stores a lot more information as compared to conventional barcodes, using almost negligible space. QR codes can be generated free online and it combines great features of online and offline marketing strategies. You only need to scan the image and you will be redirected to the URL, webpage, image, video, text message or the information you need to access. QR codes are commonly used as QR code stickers on consumer products and these stickers can also be used in many other ways to pass on information to people whom you meet. QR codes is not just for social networking, travelling, navigating, and locating places. For instance, the open source QR code library helps to integrate QR-based applications so you can use many different types of features of QR codes. The simple dot like structures of QR codes can hold a lot of information which helps you to learn about businesses and connect to multimedia digital content. There are many great online scanners which can be used. With QR codes, it is possible to interact with the consumers, provide discount coupons, and direct customers to drive huge traffic. QR code and near field communication technologies are becoming a trend and companies will have to use the features to entice buyers and increase brand recall factor.